Hi friends! 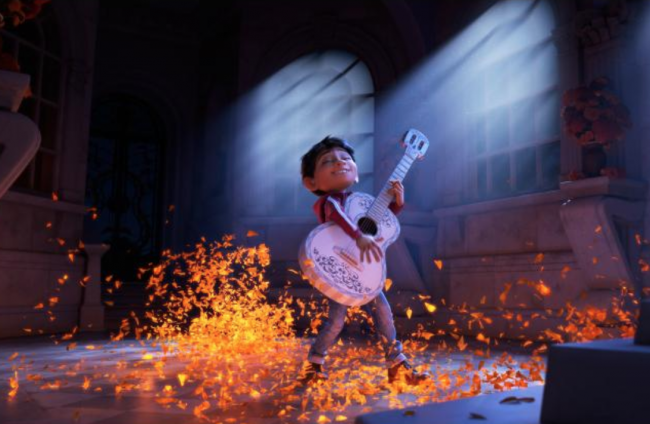 Have you seen Coco yet? If not, I highly recommend you do! It was perhaps the most surprising film of 2017 for me. 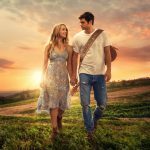 I wasn’t sure going in that I would understand or identify with the film, but I left feeling completely moved by this sweet and heart-warming film about following your heart and connecting with family. ANTHONY: I have a lot of favorite parts of the film. 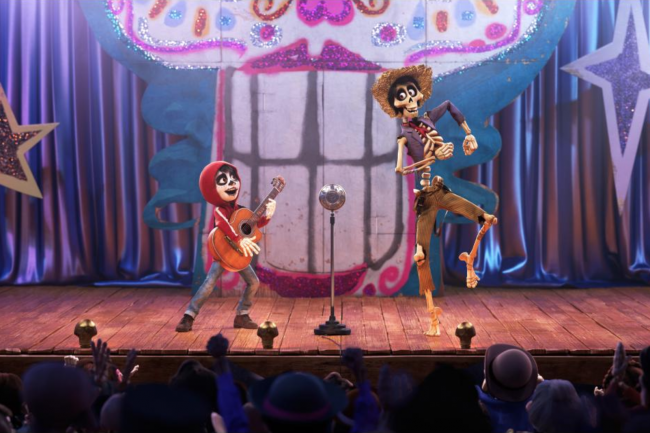 One of them is when Miguel is getting ready to sing Poco Loco but he gets nervous and then Hector teaches him about the grito. And then when he first tries he does so bad. But then when he does it onstage it does amazing and then he nails the performance which is amazing. 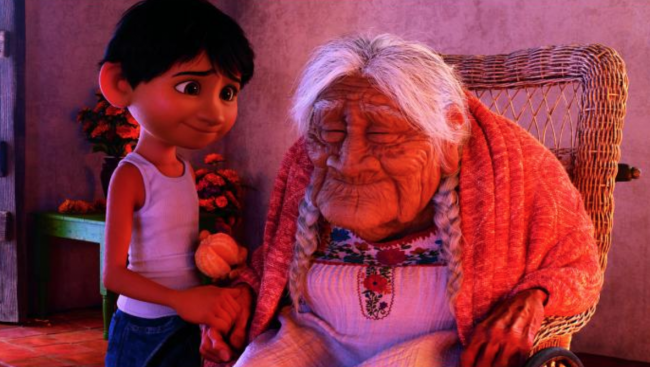 And I also love a lot of the scenes where Miguel is interacting with Mama Coco because I feel like that’s so sweet. And I love the moments where they’re interacting like when Miguel is telling her I used to run like this but now I run like this, which is way faster. And I love when he’s like wrestling with her it’s just amazing. ME: So one thing I loved was just the emphasis on family in this film. Would you say that there were aspects of the family that was represented that you kind of identified with, like in terms of your own family and upbringing? ANTHONY: Yeah, I knew coming into this film that family is important because I wouldn’t be here if it weren’t for my family. I have been singing since I was 4, and I started singing because of my brothers. They inspired me to sing. They grew up doing street performances and dancing in La Placita Olvera. There’s a lot of restaurants there and music, that’s all you hear and it’s just amazing. And I grew up there and if it weren’t for my brothers, I wouldn’t be here. My two sisters would dance and sing and my brother would sing as well. They started very young and I would look up to them and I would see that a lot of people would enjoy their performances and a lot of people would have a smile on their face and they would clap and then I’d see my brothers would feel happy and well, because of them I started singing. I wouldn’t be here if it weren’t for them. So I thank them and that’s why I feel like family is important. 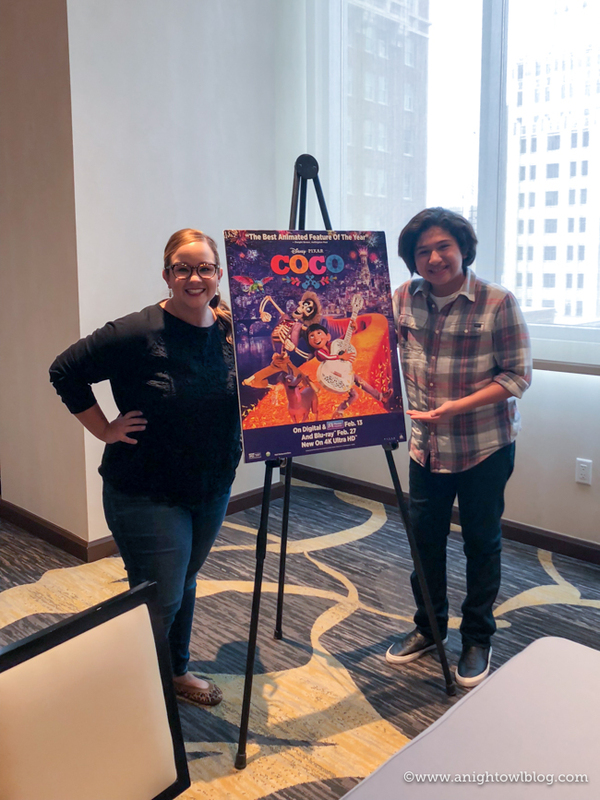 And that was amazing because it also shows that in Coco, which I really resonated with. I wouldn’t be here if it weren’t for my parents for the support they give me and for always being there every step of the way. And unfortunately Miguel doesn’t have that in the movie because his family has banned music for your whole life. And Miguel he could have just shined shoes for the rest of his life. But he decided to follow his heart and follow his passion and be a musician, which is what he loves to do. And that’s one of the things I really look up to in Miguel, because he can serve as a role model and a leader to many of the kids that have that passion and many of the kids that want to sing and want to play the guitar. So I feel that he’s a leader like you and me. I was so happy to do the voice of Miguel. ME: So I know that this is kind of a big thing for my boys, so I wanted to get your thoughts on it. Is representation, you know in films that you see and movies that come out, important to you? Like seeing your heritage and your family. 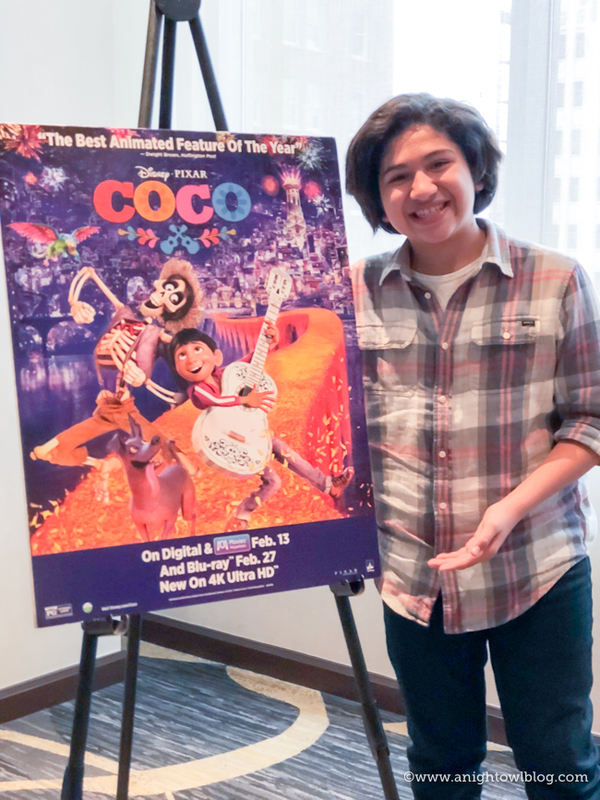 What does that mean to you having a movie like Coco out there? ANTHONY: This movie was amazing because it was very unique among all of the other Disney Pixar movies. Obviously, they make you laugh and make you cry. But this one also touches on a Mexican tradition and the wonderful celebration of the Day of the Dead. And a lot of people didn’t even know this celebration existed or they thought it was just like Halloween, but it’s actually totally different. It’s about remembering your ancestors and connecting with them again. And to know that they’re not gone they’re still here with you. That was one of the things that I loved most about the movie. It taught many other people about our culture. So yeah representation is important because a lot of people learned many things along the way. It also touches on the importance of family and following your dreams. Besides that, there are not many movies that show the celebration of the Day of the Dead. There are many Christmas movies and there are many Thanksgiving stories; there are many movies about celebrations, but there are not a lot about the Day of the Dead. And for Disney and Pixar to do a movie about it and represent many Latinos is just amazing. And I feel so proud to be a part of that representation and to be doing the voice of Miguel. So there you have it, friends! Download this movie ASAP! It’s such a sweet film, I know you won’t be disappointed. And you know we have the Blu-ray on pre-order for February 27th! My boys can’t wait to have this one in our Disney film library. 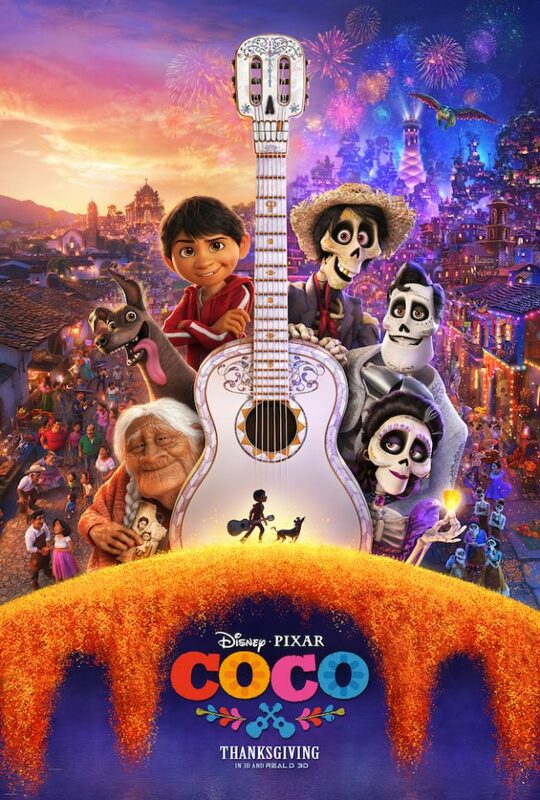 COCO is available on Digital now, available on Blu-ray February 27th!